find “sleep” or “crust” in your eyes; especially upon wakening? have the feeling of something in your eyes more often than not? have eyelashes that are brittle and/or fall out? find relief from heat packs and/or lid scrubs? rub your eyes throughout the day? If you say no, ask your spouse or friend. I was surprised at the answer given me. find lubricating eye drops help….but only for a short period of time? have vision that fluctuates throughout the day and fluctuates as you blink? If so, you may suffer from blepharitis. 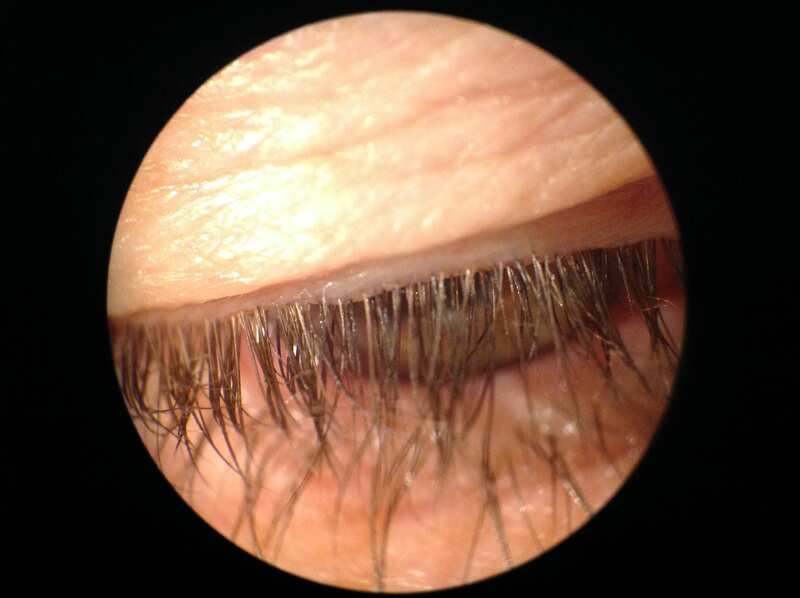 Eye doctors have known about blepharitis for decades and we were all trained to tell patients “wash your lashes with baby shampoo every day.” Our frustration has come from the minimal improvement seen. 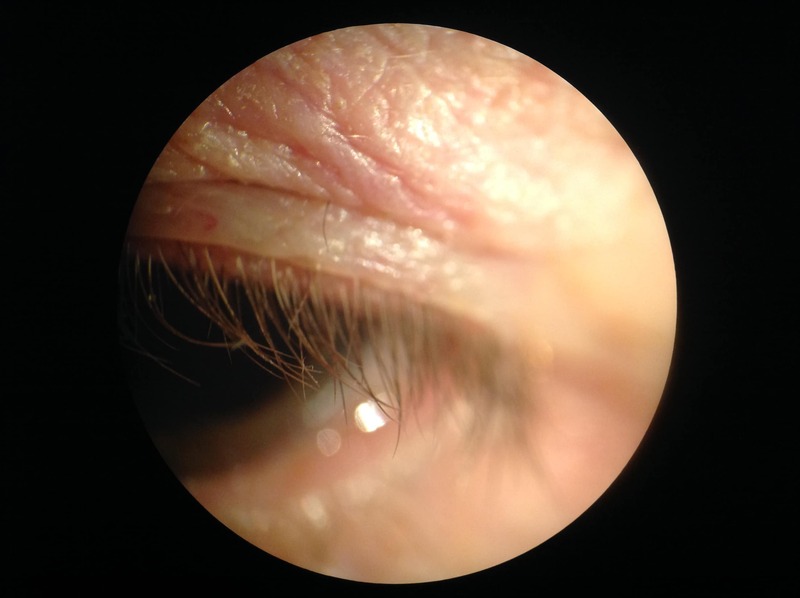 Over the past handful of years, there has been a veritable explosion in blepharitis diagnosis and treatment options. Some simple and some extravagant. Some cheap and some costing nearly $2000. Blepharitis can not be cured but it can be managed. Why am I excited about all the new treatment options for blepharitis? Because I suffer with it. For years, my eyes have felt like there is something in them. I have tried nearly every treatment available…even some of the more weird options. This new treatment is the real deal. After treatment, my eyes are no longer a constant light red due to chronic inflammation. When I wake up, I no longer spend the first hour digging around at the inside corner of each eye to get out little crusties. After I quit rubbing my eyes, I had two staff members independently say “hey, you rub your eyes a lot less these days.” “Really? I didn’t know I rubbed them at all.” I also love walking outside without sunglasses and no longer having my eyes immediately burn, sting and water. We are excited to now offer microblepharoexfoliation with the BlephEX system. The procedure is performed in office; takes about 10 minutes; and patients can drive home afterwards. This procedure allows us to remove the biofilm of debris from the lids and lashes. This film prevents the body’s natural antibodies from being able to do their job. 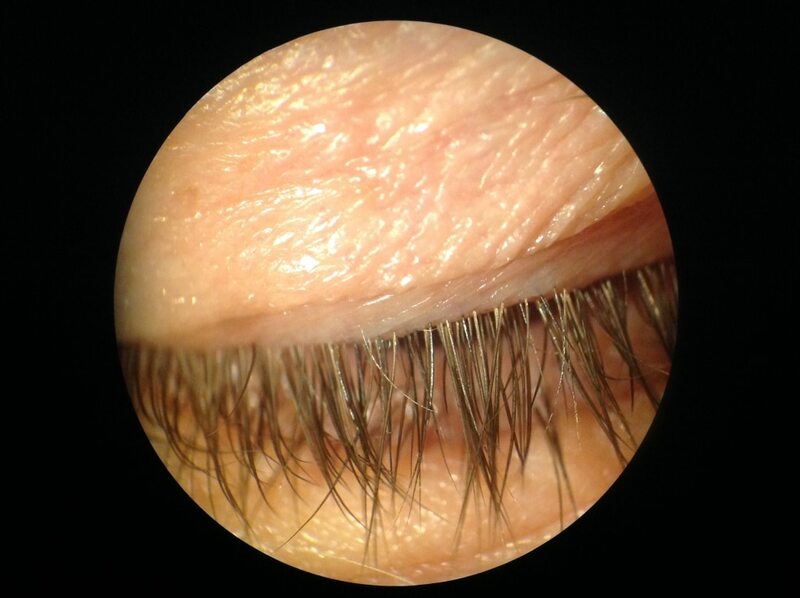 Many patients with blepharitis come to see us multiple times per year for recurrent infections. 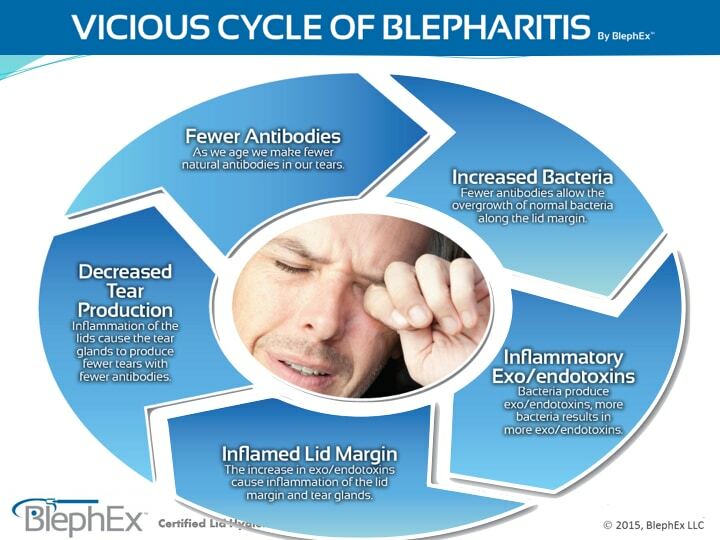 I encourage you to visit the BlephEX website which contains a wealth of information. Click here That’s a great site but I want to show you some of our own personal patients from here in Prescott. First up is a sweet lady whose eyes are irritated nearly every day. Eye drops help for a few minutes but don’t give lasting relief. When it would really bother her, I would prescribe some medication which would help for a few weeks but nothing has given long term relief. We were only able to treat the symptoms and not the cause. Now you’re probably also thinking, “I could just wash my eyelids with baby shampoo or lid scrubs from the store like Dr. Google and all my previous eye doctors said.” True. And that’s a great daily habit akin to brushing and flossing your teeth. But you still need to see the dentist for the deep cleaning. Here are photos of my friend, Lynne. She was diagnosed with blepharitis decades ago and religiously uses Ocusoft eyelid scrubs every night. Notice the waxy buildup along the base of her lashes despite being the most committed eyelid scrub patient I’ve ever met. After BlephEX, her lids and lashes are perfectly clean and clear. No more biofilm buildup. She will continue her lid scrubs (akin to brushing and flossing daily) and we will repeat the deep clean procedure probably every 6-12 months. 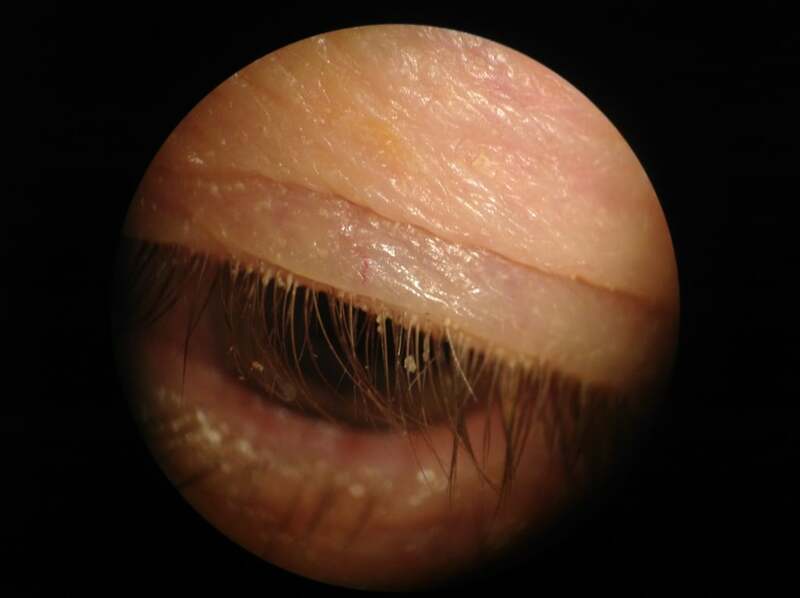 Here’s a video of one of our patients who has had uncontrolled blepharitis for too long and is now miserable. Sorry for the poor quality video. What we see in her case is debris floating around in the tear film. Every time she blinks there are chunks floating around in her tears. The tear film isn’t clear because the quality of tears is poor. This helps to explain why her vision is clear, then blurry, then clear throughout the day. Her lashes have also become thin and brittle due to chronic inflammation. If you look along her lower eyelid, you will notice divots or dents where her glands have quit functioning and atrophied. After seeing too many patients like this, eye doctors around the world have begun focusing on prevention and wellness with early treatment. We are excited to be a part of that movement.